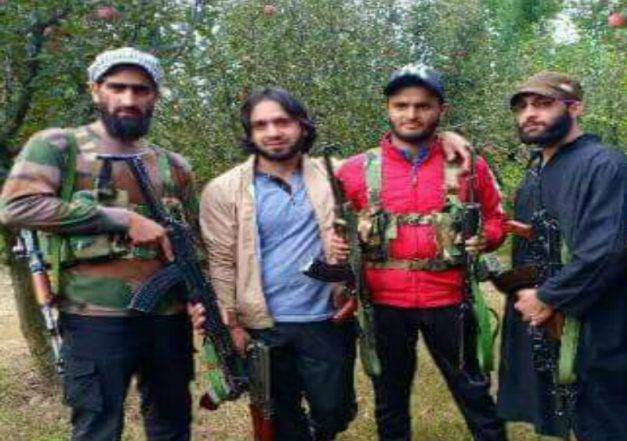 Pictures of SPO Adil Bashir posing with an AK-47 rifle alongside Hizbul commander Zeenat-ul-Islam went viral on social media on Monday. The police said that they have identified the civilian with whose help Bashir, a resident of Shopian district, managed to flee with seven AK-47 Rifles and a pistol on September 28 from the official residence of MLA Aijaz Mir in Srinagar’s Jawahar Nagar area. The MLA was in Jammu when the incident occurred.